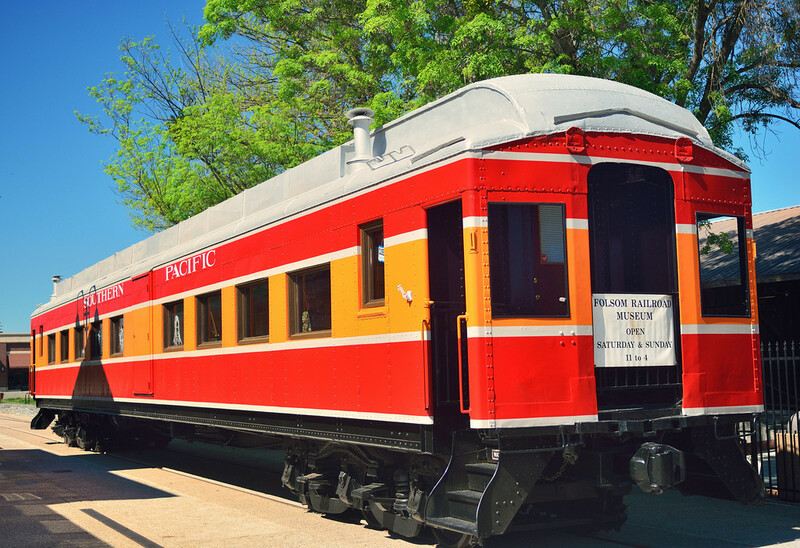 Our Santa Fe passenger car doubles as our museum office, exhibition area, library and store. We maintain a growing collection of railroad artifacts from date nails and lanterns to documents and maps. Many of our smaller pieces are on view including rare photographs, drawings, library and other memorabilia. We continue to develop our library of railroad books, many with a local interest. All are meticulously cataloged for easy reference. The site also features a reconstruction of an ‘A’ frame or ‘gallows’ type turntable used to turn locomotives, originally erected in 1867. 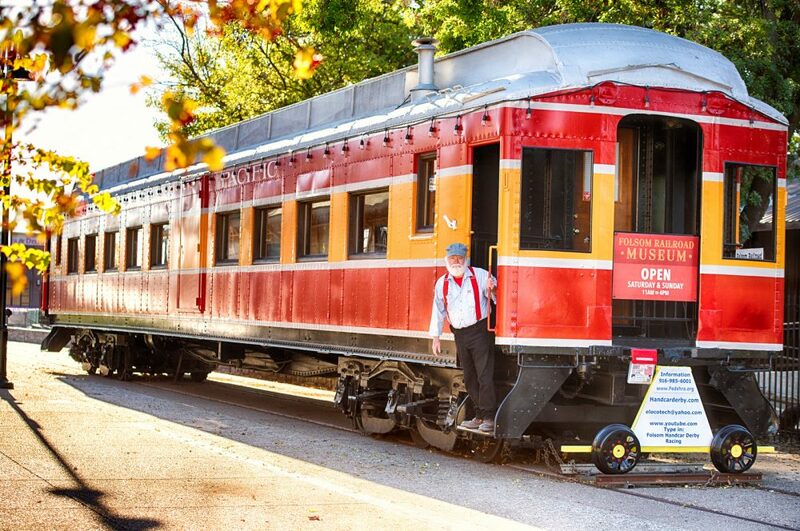 Our railroad museum is located next to the Folsom train depot on the railroad block in Folsom’s Historic District. 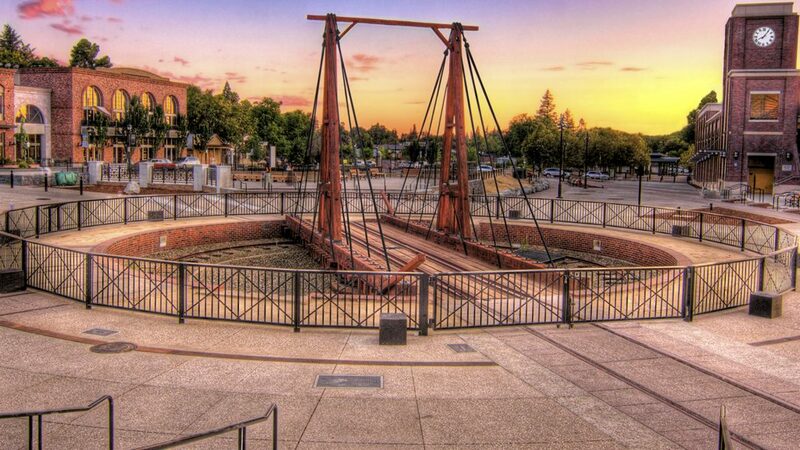 We are just a short walk from Sacramento Regional Transit light rail’s Historic Folsom station. We’re also open by appointment.